An Air France pilot spotted a white object floating in the water during an approach to Reunion Island, where a wing part of Malaysia Airlines Flight MH370 was found in July, the airline said. Local authorities in the overseas French territory said they had ordered a ship to divert to the area where the unidentified object was spotted, some 70 kilometres (45 miles) off the island, and a military plane was due to fly over the zone. The pilot on the flight from Paris to Reunion island spotted the object early Tuesday while flying at an altitude of 3,000 metres (9,800 feet), Air France said in a statement. Flight MH370 disappeared on March 8 last year, inexplicably veering off course en route from Kuala Lumpur to Beijing with 239 people on board. The disappearance turned into one of the biggest mysteries in aviation history, sparking a colossal hunt in the Indian Ocean based on satellite data suggesting MH370's possible path - to no avail. 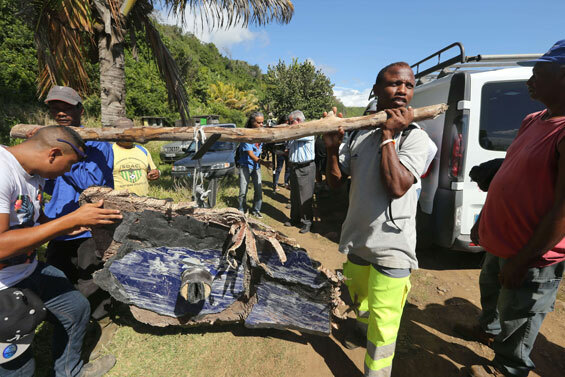 Then in late July a man on Reunion island found the two-metre (almost seven-foot) wing part, known as a flaperon, washed up on a beach. It was flown to France for tests by aviation experts, who confirmed it was part of the ill-fated Boeing 777. Since then, there have been sporadic reports of people sighting objects they believe could be plane parts, but none has so far materialised. According to Reunion authorities, the ship that diverted to the area indicated by the pilot did not find anything.